Former Ivory Coast first lady Simone Gbagbo, freed by amnesty in Abidjan this week, will begin moves to have her case at the International Criminal Court (ICC) scrapped, her lawyer Rodrigue Dadje announced Thursday. Gbagbo, who had been serving a 20-year jail term, was released on Wednesday, two days after being amnestied by President Alassane Ouattara. The 69-year-old wife of former president Laurent Gbagbo had served seven years after being found guilty of endangering state security in connection with post-election violence that claimed around 3 000 lives in 2010-11. However, she is still wanted by the ICC in The Hague, which issued a warrant for her arrest in 2012. In 2016, Ouattara said he would “no longer send” Ivorian nationals to the court, as the country now had a “functioning justice system”. Laurent Gbagbo has been in detention at the international court for seven years and has been on trial since 2016 for alleged crimes against humanity. The Gbagbos retain a groundswell of support within the Ivorian Popular Front, the party they co-founded in the 1980s but which has since split into two factions. 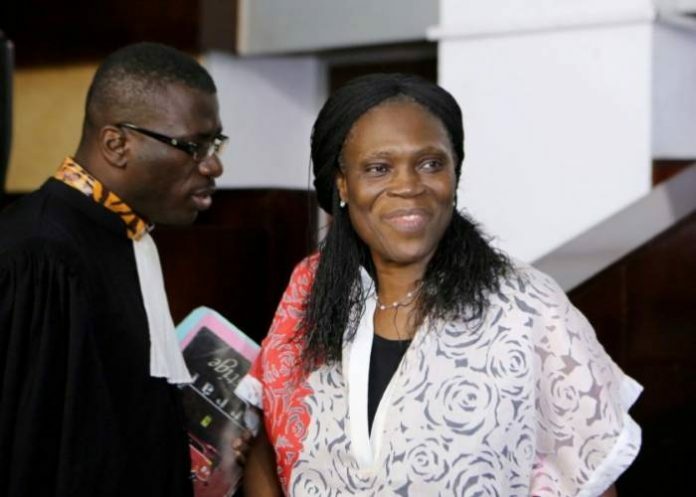 “In September, Simone Gbagbo’s defence team will begin a procedure at the ICC to annul the charges against her,” Dadje told AFP. But the Hague court stressed that the arrest warrant against the former first lady remains in place. “Any amnesty granted has no impact on the workings of the ICC,” the court said in a statement. About 3 000 people died in the turmoil that swept Ivory Coast’s economic capital Abidjan in the aftermath of the November 2010 presidential polls when Gbagbo refused to accept that he had been defeated by bitter rival Ouattara. Ouattara has been under pressure to foster reconciliation. The legacy of the 2010-11 conflict is still felt deeply today. On Monday – the eve of the Ivory Coast’s independence day – Ouattara announced an amnesty not only for Simone Gbagbo but for some 800 others in the name of national reconciliation.